This table top presentation at the Louvre was made in the seventeenth century by Florentine artisans. 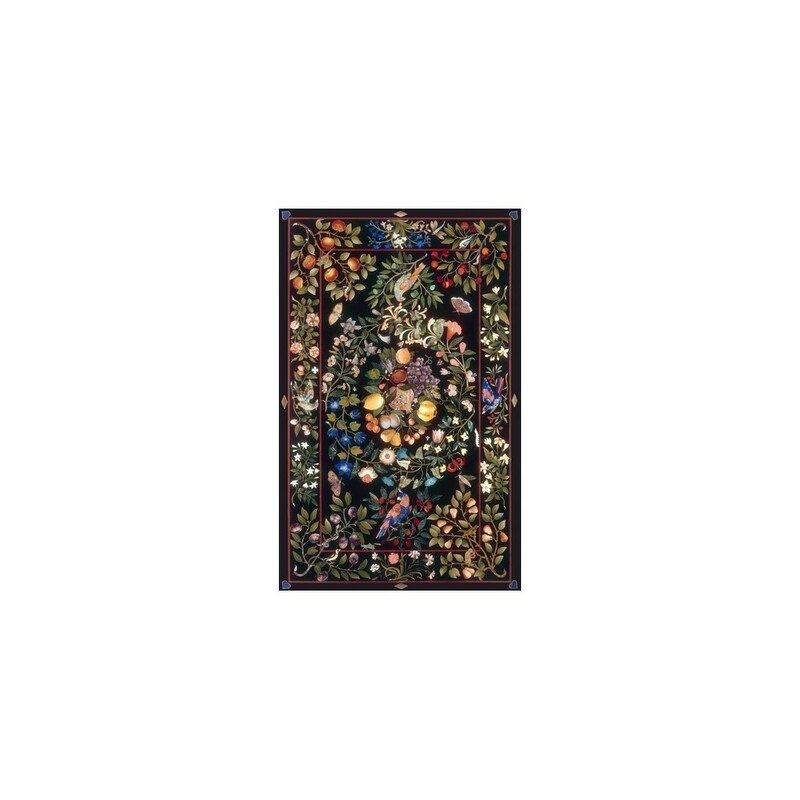 Called Florentine mosaic, this art is more like marquetry since the pattern is made up of pieces of semi-precious stones or marble chosen for their color and veining. Size: 14 x 22 cm.